In modern agriculture, the rapid use of pesticide and agrochemical were preserved and restore soil fertility. It is important to remediate polluted soils in order to prevent the further contamination of the soil. 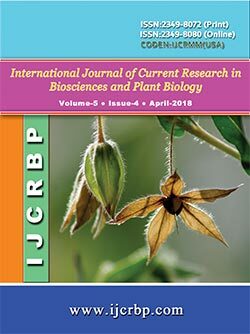 The aim of this study to assess the phytoremediation potential of cockscomb (Celosia cristata L.) in chlorpyrifos polluted soil. In an experiment, the garden soil was spiked with four different concentrations of chlorpyrifos (0.5, 1.0, 2, and 2.5%). The treatment without chlorpyrifos spiked in to the soil represented as the control. The plant samples were collected periodically at 30, 60, and 90 days for biochemical analysis. At end of 90th day plant sample were collected Gas Chromatography Mass Spectrum studies (GC-MS). The low level (0.5%) of chlorpyrifos exhibit that enhance the protein content of tested plant, as compared to control plant. However, at higher concentrations (2.5%) of chlorpyrifos were decreased the protein content. The amino acid and proline were elicited with the increasing concentration of chlorpyrifos as compared to control. Maximum increases in amino acid and proline was noted at the highest concentration (2.5%) of pesticide treatment. The GC-MS study showed that disappearance of chlorpyrifos by cockscomb (Celosia cristata L.) may be assigned to the uptake potential of these plants. 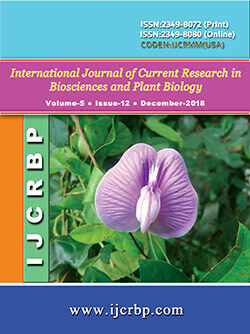 However, further studies are needed to better understand the chlorpyrifos impact in cockscomb (Celosia cristata L.) and potential mechanism took up to improve the phytoremediation of chlorpyrifos.